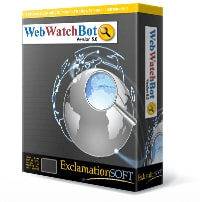 WebWatchBot is compatible with both VM-Ware and Microsoft Virtual Server/PC and Hyper-V. WebWatchBot can be installed on a virtual machine with the above requirements. 1 WebWatchBot has passed testing with Lionbridge/Veritest on behalf of Microsoft to the level of either "Works With" or "Certified". 2 Windows may have overriding/higher requirements which take precedence over WebWatchBot requirements. Server with WebWatchBot requires IIS to be pre-installed with ASP.Net. Server also requires .NET Framework v4.0 (included in installer). WebWatchBot requires SQL Server 2008(Good), 2014(Better), or 2016 or 2017(Best). You can pre-install SQL Server or specify an existing SQL Server installation during setup. The logged in user must have permission to read, write, and create keys the system registry. WebWatchBot installs its Windows Service component, named WWBServer. NOTE FOR WEBWATCHBOT V3.0.2 AND OLDER: WWBServer must log in under the "Local System Account" Account. This should not be changed. Additionally, the SYSTEM ("Local System Account"), must be set to interact with the desktop. NOTE FOR WEBWATCHBOT V3.0.3 AND NEWER: If you change the logged in user account, ensure to reflect this change below, substituting SYSTEM with the specified user account. The SYSTEM ("Local System Account") account must have permission to read, write, and create keys the system registry. Go to server manager, click add roles and features. "Web Server (IIS)" -> Select and expand "Web Server"
** Please note: Your results may vary based upon factors such as concurrently executing programs, processes, and services. Additionally, each Watch Type, e.g., ping, port, http, etc., affects performance differently based on the resources needed to execute.